Login/My Account | Forgot Password? * NEW DEAL! 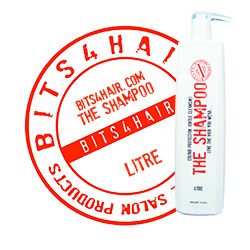 * BITS4HAIR "THE PERFECT PARTNERS"
"THE SHAMPOO” IS A COLOUR PROTECTION, GENTLE CLEANSING SHAMPOO THAT PRESERVES HAIR COLOUR AND SHINE. IT CONTAINS MILK PROTEIN AND KERATIN PROTEIN, WHICH HELPS PROTECT HAIR FIBRE. IDEAL FOR SENSITIVE HAIR. Size: 1ltrl Bottle BITS4HAIR "THE SHAMPOO". (with Pump). APPLY TO WET HAIR, LATHER, RINSE AND REPEAT. THEN RINSE HAIR WELL AND FOLLOW WITH "THE CONDITIONER”. Ingredients: AQUA, SODIUM LAURETH SULFATE, COCAMIDOPROPYL BETAINE, DISODIUM COCOAMPHODIACETATE, ACRYLATES COPOLYMER, COCO-GLUCOSIDE, GLYCERIN, GLYCOL DISTEARATE, HYDROLYZED MILK PROTEIN, MEL, HYDROLYZED KERATIN, HYDROLYZED SILK, PARFUM, TRIETHANOLAMINE, CITRIC ACID, POLYQUATERNIUM-11, METHYLISOTHIAZOLINONE, STYRENE/VP COPOLYMER, SODIUM CHLORIDE, METHYLCHLOROISOTHIAZOLINONE, ALPHA-ISOMETHYLIONONE, LIMONENE, COUMARIN, CI 17200, CI 19140. 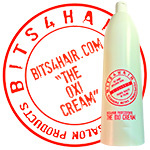 BITS4HAIR "THE OXI CREAM" Peroxide Promotional Offer! 50% off the normal price of £3.99. Add 2 to your order and you will only be charged £3.98 for 2. BITS4HAIR "THE OXI CREAM" Peroxide Promotional Offer! 50% off the normal price of £3.99. Add 2 to your order and you will be charged £3.98 for 2. Looking for a Colour or Colour Code? Type in the colour or code in the "Product Search" box above. A list of colours and codes will appear if we stock the colour or code you are searching for. Click the relevant result that appears to view. The 2nd number indicates the primary colour reflect. The 3rd number indicates the secondary colour reflect. 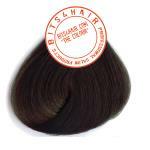 BITS4HAIR "THE COLOUR" : Mahogany Golden Blonde. Code: 7.53. 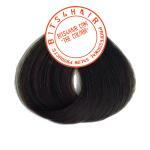 BITS4HAIR : Professional Salon Products, Proven Quality In Salons. BITS4HIAR "THE COLOUR, BITS4HAIR "THE OXI CREAM", BITS4HAIR "THE BLEACHING POWDER".